Here you'll find beautifully restored lamps and parts of all descriptions. We offer replacement glass shades, chimneys, wicks, spiders, wired and oil burners. We stock thousands of old and new parts. If it's lighting related we have you covered! 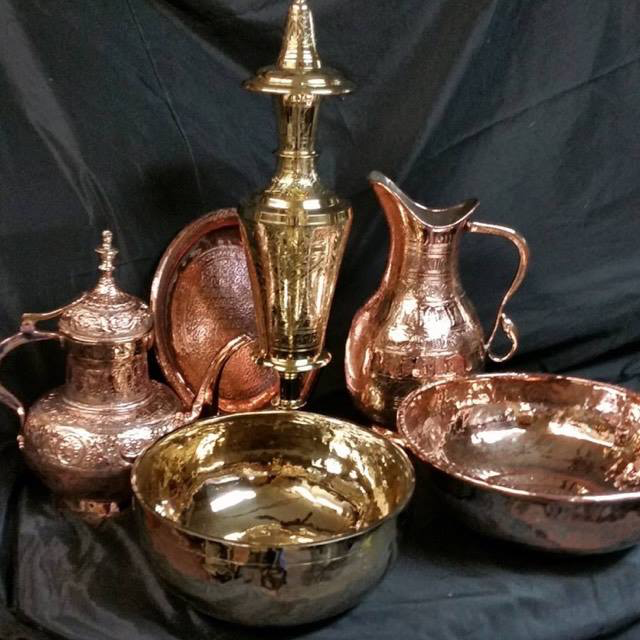 Since 1952 The Brass and Copper Polishing Shop, located in the beautiful historic district of Frederick, has been turning out expert metal polishing, repair and restoration services. We Polish & Repair Silver, Brass, Copper, Aluminum & All Types Of Metal. Many of our clients bring us their old lamps, candle holders, fireplace equipment, tea kettles, old buckets, door hardware, flatware and tea sets. Since 1952, The Brass and Copper Polishing Shop, located in the beautiful historic district of Frederick, has been turning out expert metal polishing, repair and restoration services. We specialize in the rewiring of lamps and lighting. From a simple table lamp to a fancy hanging lamp. We can put your lamp back to like new condition. The Brass & copper shop offers services for antique dealers, collectors, restoration specialists and homeowners. In addition to our restoration services we specialize in quality antique lamps and lighting. Looking for just the right lamp for that Victorian home you're restoring? Here you'll find beautifully restored lamps and parts of all descriptions. We offer replacement glass shades, chimneys, wicks, spiders, wired and oil burners. We stock thousands of old and new lamp parts and supplies . If it's lighting related we have you covered!